Did Someone Say Chicken Jerky? I can see it now - you say "chicken!" and your dog's ears perk up and their head tilts sideways. I'm sure the smell alone has your pooch's tastebuds tingling. I wanted to share with you some new treats that I won from To Dog With Love. 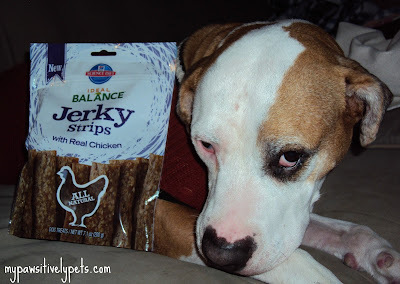 They are Hill's Science Diet Ideal Balance Jerky Strips with real chicken. 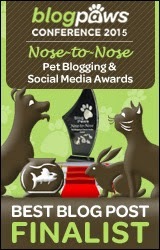 As soon as we received the box in the mail, Shiner was sniffing like crazy! She knew that whatever was in that box was for her and she wanted it now! I worked the box open, which didn't seem fast enough for her. I haven't seen her that excited for a treat in quite a long time. Of course, I tried to make her pose for a picture before giving her a treat. 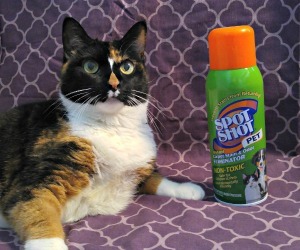 That photo shoot didn't last long because she became so impatient with me. Can't you just hurry up and open them? I know there is a lot of concern with chicken jerky type treats today. Hill's is pet food company I've recommended to other pet parents for a long time, so I was happy to give some of their treats to Shiner. The treats are made with real chicken and manufactured in the United States. They are naturally preserved and have no corn, artificial flavors or colors. They also make Jerky Strips with Real Beef . 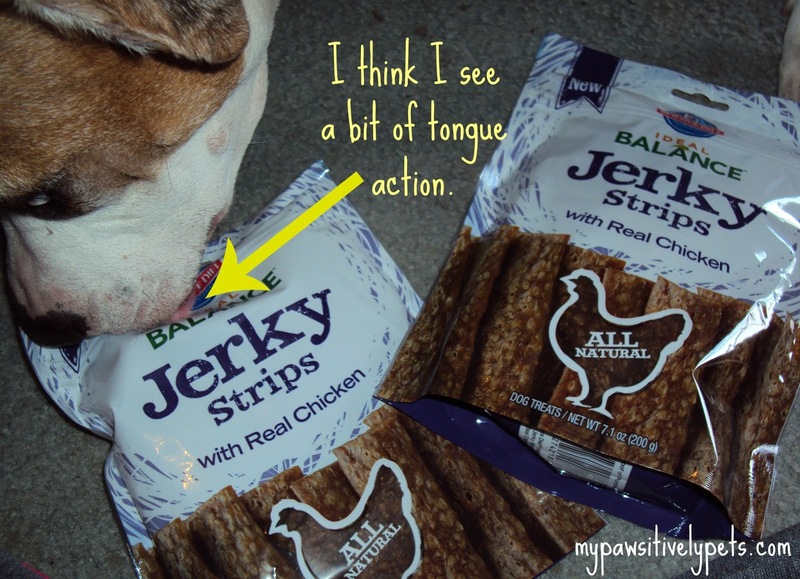 The chicken jerky treats are inexpensive. I've seen prices from $4 to $7 at different places on the internet for a 7 oz. bag. So what does Shiner think? She gives the Ideal Balance Chicken Jerky Strips from Hill's Science Diet two paws up! 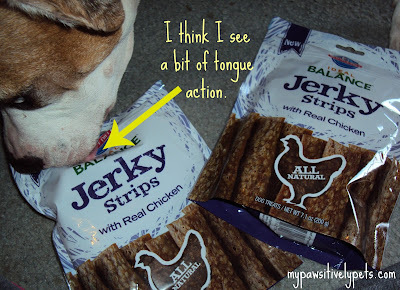 She absolutely loved them and would like to recommend them to all of her doggy friends out there who love chicken. If you'd like to buy some of these treats for your pooch, you can purchase them through the affiliate links that I've added to this post. 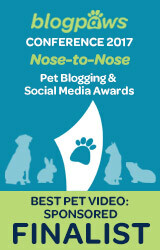 Purchasing products from affiliate links helps to support Pawsitively Pets. Yum yum yum, these chicken jerkies sound delicious! They do look very yummy. We must get round to making some jerky at home. I've never made any jerky before, hope yours turns out as tasty as Shiner's! mmmmm....Chicken! It's my favorite and I just love chews. Those treats look YUMMY! I hope Mom goes shopping today! That is good to know. I am working hard to only buy food/treats made in Canada or the US. We will have to check these ones out! Go Shiner Go! Yum alert! Yeah for chicken jerky! Yes, that's one of Titan's favs however, since it's been hard for me to find MADE IN USA, he's hasn't gotten any in quite some time. Might have to peek at these. Thanks! We haven't tried jerky here (though of course Cocco would actually eat it) but the dogs in our family love it! ohhh, so glad Shiner loves them! What's better than chicken jerky to a dog? Not much! We make our own chicken jerky with a dehydrator when we see chicken breast on sale. It's a special treat for the brats. Glad to see Shiner loves his winnings. Lol - I knew it! I love that show. I'm forced to watch cartoons by my 8 year old daughter.